The early bird gets the worm at Joe Louis "The Champ" GC. 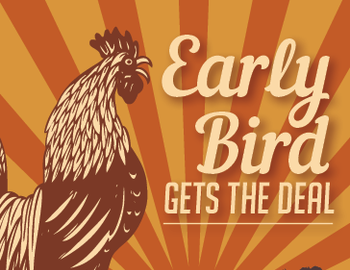 Early Bird Specials at Joe Louis "The Champ" Golf Course. Only $19 (Mon-Fri) with cart online; book your tee time today!